What’s your favorite comedy? Go ahead, make a list … a top ten list. 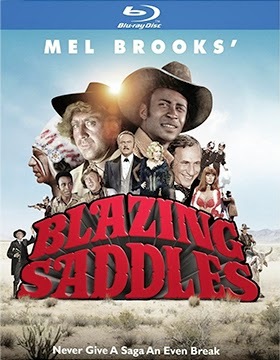 If you know your comedies, then Mel Brooks’ 1974 Blazing Saddles will be on that list … and for many it will be right at the top! Warner Home Video announced this past week that a 40th anniversary edition of this comedy satire will be released as a Blu-ray special edition on May 6. 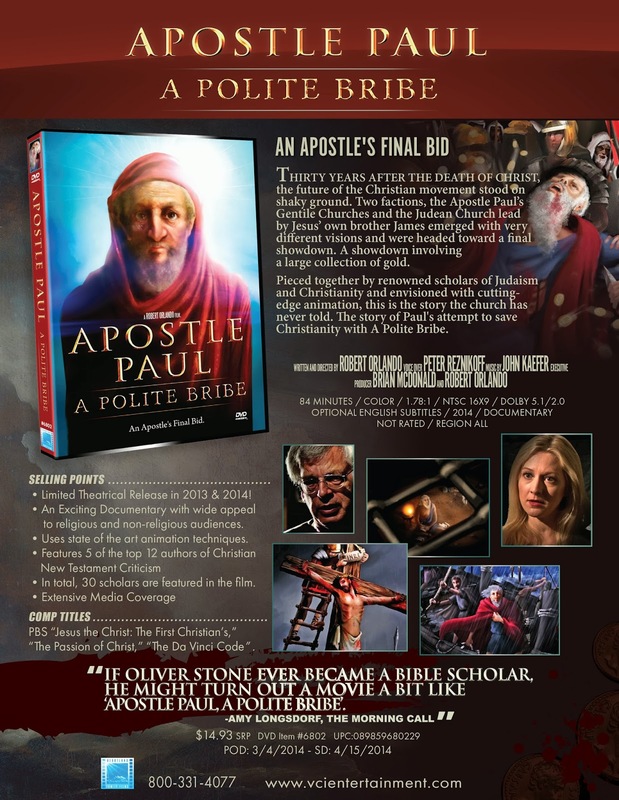 Bonus features include Mel Brooks’ previously prepared commentary of his film — loaded with insights and humor — a newly prepared featurette titled “Blaze of Glory: Mel Brooks’ Wild, Wild West,” plus deleted scenes, the documentary titled “Back in the Saddle” and the 1975 television pilot, Black Bart, starring Lou Gossett Jr., Steve Landesberg, Millie Slavin and Gerrit Graham. Also added to the release calendar this week are a quartet of animated releases that will be ready for a home entertainment rollout during the month of May. 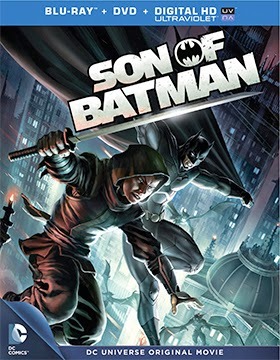 Debuting on as both DVD and Blu-ray/DVD Combo Pack (with UltraViolet) on May 6 is director Ethan Spaulding’s feature-length superhero adventure, Son of Batman. Bonus features include a trio of production featurettes, plus four bonus animated adventures culled from various animated television series featuring Batman — “Out of the Past” (Batman Beyond), “The Knights of Tomorrow!” and “Sidekicks Assemble!” (Batman: The Brave and the Bold) and “Showdown” (Batman: The Animated Series). The following week, May 13, Scooby-Doo and Shaggy fans should be on the lookout for the double disc DVD collection, Scooby-Doo! : 13 Spooky Tales - Field of Screams. Lastly, May 20 will see the release on DVD to the general market place of JLA Adventures: Trapped in Time (previously a Target exclusive). Director Clarence Fok's Special ID Heads To DVD And Blu-ray On May 13 Courtesy Of Well Go U.S.A.
Hong Kong action cinema is maturing. Perhaps it is the influence of Western filmmaking … perhaps the filmmakers themselves have matured and are more proficient at the art of cinematic storytelling. Twenty years ago director Clarence Fok’s latest thriller starring Donnie Yen, Special ID, would have been simply one of those “chop-socky” endeavors complete with endless fight sequences, bad dialog and a likely incoherent plotline. That was then, this is now. The contemporary action films coming out of China these days (as opposed to the historical epics) are more nuanced … story and acting are as important as the fight “set pieces” — the characters even speak lines of dialog that make sense (and drive the story forward). For purists, who are expecting nothing more than 90 minutes worth of kung fu combat, they need to come to the realization that Bruce Lee is dead. 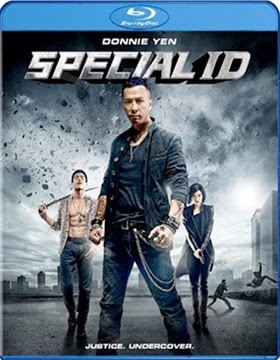 In Special ID, due out on both DVD and Blu-ray on May 13 from Well Go U.S.A., action star Donnie Yen (IP Man, Bodyguards and Assassins, Painted Skin, Flash Point, etc.) plays Chen Zilong, an uncover cop who may be close to going over to the dark side. He’s so into his role as a triad thug that his boss (played Ronald Cheng) has grown worried … maybe it’s time to bring him out. That opportunity arrives when a former gangland “friend” named Sunny (Andy On) takes to whacking mainland triad associates. Not only do the police want him to check things out, but ironically so do his current mob friends — they view the power-hungry Sunny as a threat. Into this volatile mix comes Zilong’s new partner (for the case) Fang Jing (Tian Jing — Police Story 2013, The Warring States), a by-the-rules beauty who finds her partner’s unorthodox methods of police work to be more than disturbing. And his look, demeanor and “friends” even more so. Surviving this case will require speed, cunning … and trust! 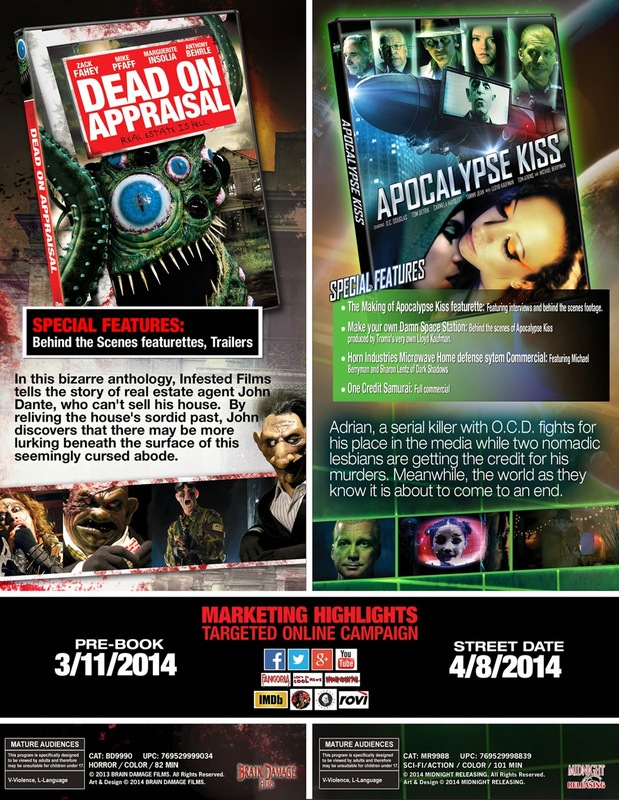 Writer/director Christian Grillo’s wickedly twisted sci-fi thriller, Apocalypse Kiss, will be getting its DVD debut from Midnight Releasing on Apr. 8. If Blade Runner had a sequel this would be it. The futuristic city of Rick Deckard (Harrison Ford) has continued on in Apocalypse Kiss … only it has gotten seedier and more dangerous (if that is possible). His “successor” in law enforcement is Jerry Hipple (Tom Detrik — Angel’s Blade), who spends his days trying to track down The Red Harvest Killer, but the why of it seems pointless. But when Adrian (D.C. Douglas), the real serial killer, hears of these copycats poaching on his turf he does the only sensible thing … he turns to Hipple for help!!! He reasons that he is an artist and each one of his victims is a work of art and having rank amateurs getting credit for his work simply cannot stand! Apocalypse Kiss is a nicely done — the f/x and CGI are studio-level — and the storyline is downright bizarre. And Troma’s Lloyd Kaufman playing the president only makes it more so. Bonus features include a behind-the-scenes featurette, fake television commercials from the future and cast and crew commentary. When evil is embodied in the innocence of youth it becomes too horrible to contemplate. 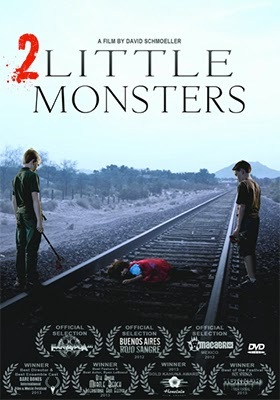 Such is the case of the DVD debut of 2 Little Monsters (aka: Little Monsters) from VCI Entertainment on Apr. 1. This true-life story spun by writer/director David Schmoeller (Tourist Trap, Puppetmaster, Netherworld, etc.) draws its horror from the infamous 1993 Brit murder case involving three year-old James Bulger, who was stalked, kidnapped, tortured and beaten to death by two ten year-old boys. That’s right, his sadistic killers were just ten years of age. The names and places have changed (from Liverpool to Las Vegas), but the sheer terror of every parent’s nightmare remains. Schmoeller, whose early filmmaking career included the 1979 iconic horror gem, Tourist Trap (with Chuck Connors) and the multi-film franchise-starter in 1989, Puppetmaster (starring Paul Le Mat and William Hickey), could have easily made this film a ghoulish nightmare. He did not go down that path, but the nightmare of the crime and its aftermath remains. 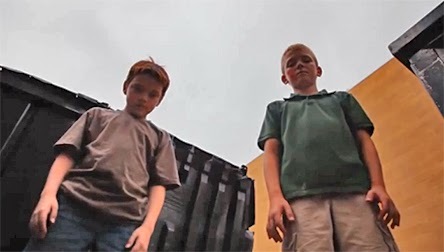 Instead of dwelling on the lurid details of the kidnapping and murder, the focus of the story here is on what happens to these fiends once they’ve “done their time.” We are introduced to the now fully-grown 18 year-olds — James (Ryan LeBoeuf) and Carl (Charles Cantrell) — who have spent the last eight years in juvenile detention. Although convicted of their crime, due to their tender years at the time of the killing, this was the only punishment available. They arrive back into society — with new identities — complete with the requisite psyche evaluations, which clearly point to two very broken individuals who do not seem “ready” for re-entry into the real world. How will the survivors of the ordeal — parents, friends, etc. — cope with their freedom? Should they be free without justice? And, heaven forbid, did the horror of the original crime put them on a course, no matter the punishment, where there is simply no redemption. 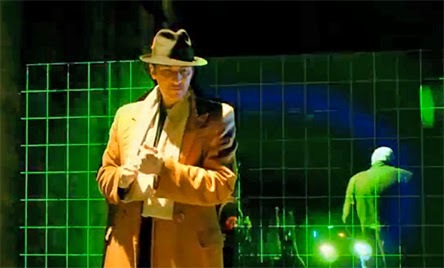 These are questions that Schmoeller poses as 2 Little Monsters combines both a dramatic narrative mixed with a one-on-one documentary feel … it becomes both insightful and chilling as it unfolds. Also announced this week for an Apr. 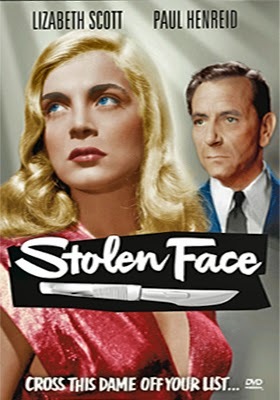 1 DVD push are director Terence Fisher’s 1952 be-careful-what-you-wish-for thriller, Stolen Face, teaming Lizabeth Scott with Paul Henreid, and director Montgomery Tully’s 1953 film noir, Terror Street (aka: 36 Hours), starring Dan Duryea. The following week, Apr. 8, those six-guns will blazing as three golden age Westerns make their way to DVD. James Craig, Martha Vickers and Edgar Buchanan star in Four Fast Guns (1960), while Hellgate showcases the talents of Sterling Hayden, Joan Leslie, Ward Bond and James Arness in writer/director Charles Marquis Warren’s 1952 frontier prison drama. Lastly, director Lesley Selander’s 1955 Western, Shotgun, also stars Sterling Hayden as U.S. Marshal out for revenge … Yvonne De Carlo, Zachary Scott and Guy Prescott are his co-stars. Not done yet!!! The following week, Apr. 15, another film from director Charles Marquis Warren is his seemingly routine 1951 Western, Little Big Horn. The film has stood the test of time … besides an interesting cast that includes Lloyd Bridges and John Ireland (who also teamed in A Walk in the Sun), the film can easily be seen as a metaphor for the futility of the Korean War (which had been raging for one year when Little Big Horn opened theatrically). Also on Apr. 15 is filmmaker Reginald Le Borg’s 1953 Western, Great Jesse James Raid … which is far more interesting for the teaming of off-screen lovers Tom Neal and Barbara Payton. Apr. 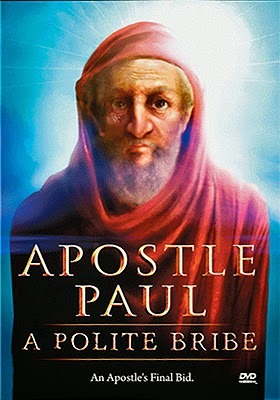 15 also brings us the DVD debut of documentary filmmaker Robert Orlando’s Apostle Paul: A Polite Bribe. 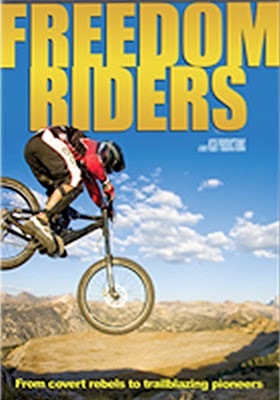 Documentary filmmaker and mountain bike enthusiast extraordinaire Chris Kitchen will see his first-person documentary, Freedom Riders, make its DVD debut on Apr. 22 courtesy of FilmWorks Entertainment. They were rogues, backcountry savvy, most of all, trail bike riders … and they were criminals. Chris Kitchen, Brian Garson, Sam Pope, Jack Hawkes and their friends had to be tough to cut trail in Wyoming’s rugged Teton Pass area. They would build wood bridges at night, hack out the undergrowth to get from this place to that … and then ride like demons during the daylight. It was not always safe or sane! 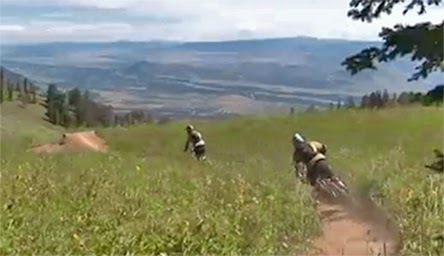 The day finally came when these adventurous mountain bikers and illicit backcountry trail builders were confronted by the rangers of the all-powerful U.S. Forest Service. It was conceded that their trails were good, expertly cut, but they were simply not allowed. But in hundreds of square miles of remote forests, with mountain passes rising to over 13,000 feet, it would be impossible to “enforce” the strict letter of the law, so a compromise was reached. You can cut a trail, maintain it and it is yours. 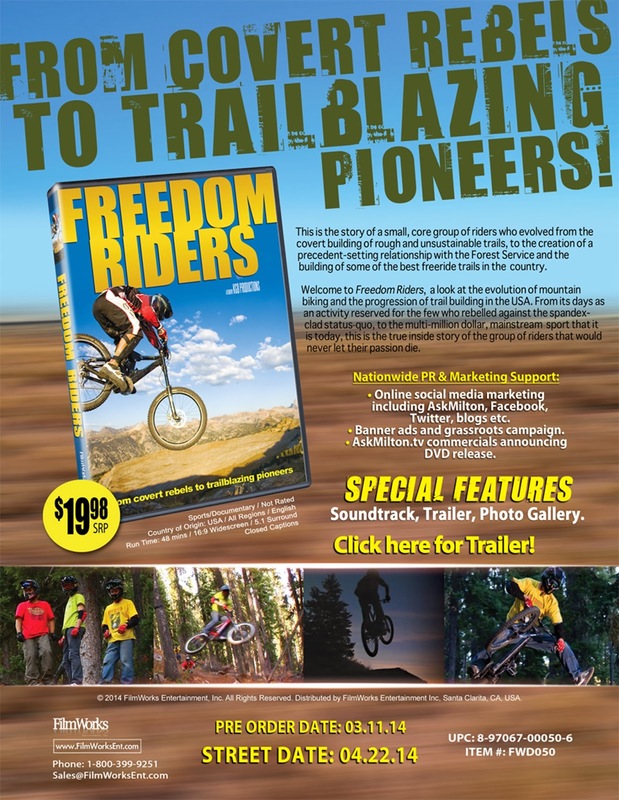 Freedom Riders is their story! Virgil Films & Entertainment has targeted Apr. 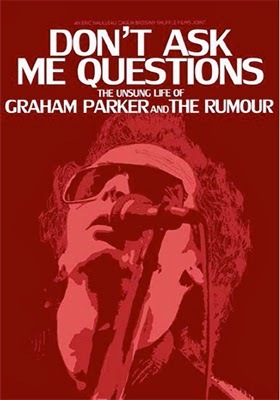 8 for the DVD debut of director Michael Gramaglia’s Don't Ask Me Questions: The Unsung Life of Graham Parker and the Rumour. This intimate look at the life and legend of Brit rock star Graham Parker was ten years in the making — a true labor of love — as it chronicles the career of Parker and his iconic band The Rumour, which is capped off by their reunion during the summer of 2011 and subsequent appearance in filmmaker Judd Apatow’s theatrical release of This is 40. 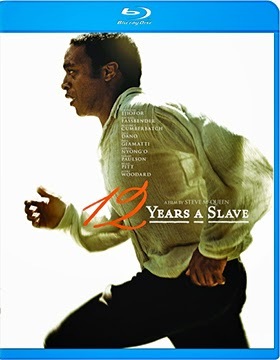 It appears as if 20th Century-Fox Home Entertainment waited as long as it could before announcing the street date for DVD and Blu-ray editions of director Steve McQueen’s Best Picture Oscar nominee, 12 Years a Slave. With the box office languishing at just $45.9 million (from the plains of the midwest to the eastern seaboard the theatrical scene has been devastated by an extremely rough winter) — and with the big Oscar event rapidly approaching on Mar. 2 — the studio has decided to go ahead and bring DVD and Blu-ray editions to the home entertainment market place on Mar. 4. For the record, the ARR is 137 days. To give you some idea at the uphill battle that Fox is facing with 12 Years a Slave, Gravity has generated ticket sales of $264 million, American Hustle’s box office take currently stands at $133.5 million and the just-released on Blu-ray and DVD Captain Phillips pulled in $106.5 million … even the Wolf of Wall Street has more than double the ticket sales (with the heavy R-rating, the excessive language and the marathon running time it narrowed its audience significantly in certain geographic areas of the country). Consumers are voting with their wallets and 12 Years a Slave is simply not getting the votes it should when you consider the solid reviews and Oscar nominations that include Best Actor (Chiwetel Ejiofor), Best Supporting Actor (Michael Fassbender), Best Supporting Actress (Lupita Nyong'o) and Best Director. 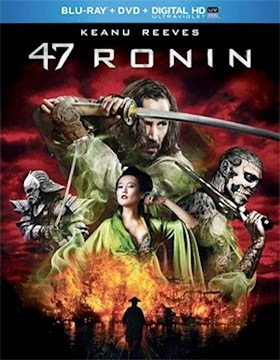 Universal Studios Home Entertainment will serve up a three SKU helping of director Carl Rinsch’s 47 Ronin this coming Apr. 1. Included in the mix are a stand-alone DVD release as well as two Blu-ray/DVD Combo Pack SKUs (one with a 3D viewing option and one without). The ARR is a quick-to-market 95 days and the domestic box office gross was $38.3 million. Bonus features for this Keanu Reeves and Hiroyuki Sanada feudal Japanese Samurai flick include deleted scenes and the featurette titled “Re-Forging the Legend.” Exclusive to the Blu-ray editions are three additional featurettes.